I used 3 dates this time round, but couldn’t detect the additional flavour/sweetness so will defo increase that next time. Will be trying 8 to see how that goes. Sounds like a nice concept, just want to see how it works! This is my first try with cashew milk. I think I prefer it to almond – it’s a little thinner, creamier, less dominant taste. So will definitely be making it again! 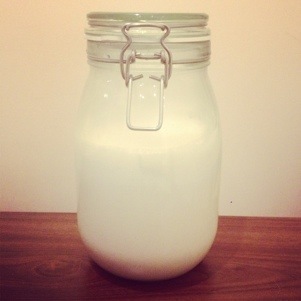 What’s your favourite homemade milk?